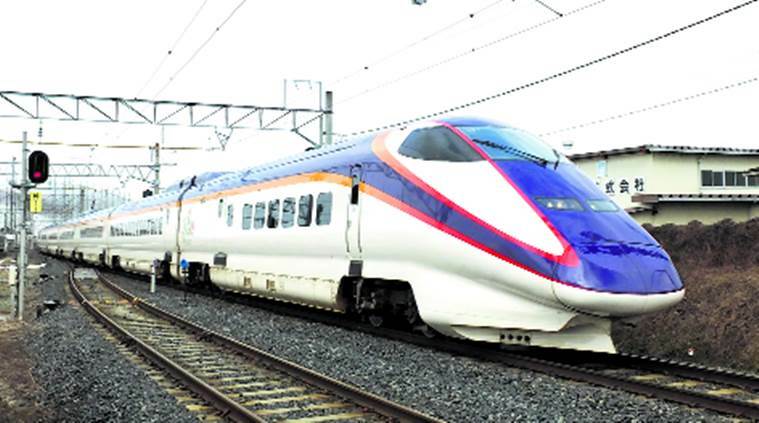 JICA Guidelines violated in Mumbai - Ahmedabad Bullet Train Project ? Home High Speed Rail Projects JICA guidelines violated in Mumbai – Ahmedabad Bullet Train Project ? Ahmedabad: Well-known Environment Activists Rohit Prajapti from Gujarat shares his thoughts on the upcoming Bullet Train project and why it is violating JICA’s guidelines. The JICA Guidelines, April 2010, make clear the principles and procedures, repeatedly stressing on environmental and social impacts, which must be followed for ensuring assistance in the form of technical cooperation, loan, or grant aid for projects that are applicable to the MAHSR – the Bullet Train Project. While the final responsibility for environmental and social considerations for projects lies with the project proponents, host country governments including local governments, borrowers, etc., JICA recognizes certain crucial baselines principles and lays out a set of definite guidelines for environmental and social considerations that need to be followed for execution of projects like the ‘Bullet Train Project’. If during the execution JICA finds that relevant environmental and social impacts have not been considered in letter or spirit, it will withdraw loan aid, grant aid, or technical support to the project. It is also pertinent to note that the Japan’s Official Development Assistance (ODA) Charter, August 2003 assures fairness and attention to environmental and social impacts while contributing to sustainable development in developing countries. In absence of such considerations, can JICA offer other sustainable and financially viable options to the Bullet Train? For example, retrofitting and upgrading the existing rail system, since rail transit is a necessity. It is therefore vital to revisit the project proposal submitted to JICA by MAHSR that justifies the need for a Bullet Train Project over other inter regional and multi-modal transit options. If such a need study exists, then has it been put in the public domain and discussed with the stakeholders? The Bullet Train venture has been promoted in spite of existing reports calling for the strengthening and upgrading the existing rail system, which have been postponed due to lack of resources. The Environmental and Social Impact Assessment reports of 2010 do not address majority of these factors. Surprisingly, in the Joint Feasibility Study for Mumbai Ahmedabad High Speed Railway Corridor, July 2015, prepared by JICA and Ministry of Railway, Government of India, four chapters, namely, Chapter 12 – Project Cost of the High-speed Railway System, Chapter 13 – Project Implementation Plan, Chapter – 14 Project Scheme Financial Option, and Chapter 15 – Economic and Financial Analysis, are missing for reasons best known to them. In stark contrast to the JICA mandate, the Joint Feasibility Study for Mumbai Ahmedabad High Speed Railway Corridor, July 2015, report remains unavailable in Gujarati and Marathi, the primary languages of the affected stakeholders, even on the JICA website. The Bullet Train Project’s public consultations have been undertaken in the year 2018. As per international and even national norms and in the interest of just and fair environment and social outcomes, consultations should be based upon the most recent studies and reports. If this is not done, the project will not be just illegal but also unscientific because such consultations were conducted based on eight-year-old reports of 2010. These reports have to be based on more recent and due assessment processes since the Bullet Train’s route is passing through severely and critically polluted clusters of Gujarat as well as some ecologically most critical and socio-economically vulnerable areas, both in the states of Gujarat and Maharashtra. In the EIA and SIA consultation processes, not only people’s participation is missing in a proper and real sense but the authorities have also not considered the crucial report of (i) Gujarat Ecology Commission – ‘State Environmental Action Programme Industrial Pollution, Phase III – Sectoral Report, Volume I dated April 2002, (ii) Order dated 07.05.2004 of the Supreme Court in Writ Petition (Civil) No. 695/1995 pursuant to the Supreme Court Monitoring Committee’s report, (iii) ‘Comprehensive Environmental Assessment of Industrial Clusters’ of Central Pollution Control Board, of 2009, 2011 and 2013, (iv) various crucial important investigations report of Central Pollution Control Board and Gujarat Pollution Control Board, and (v) various High Court and Supreme Court’s order regarding current statues of environment degradation of the area. These reports and orders of the courts record and reflect the severely degrading state of the environment for the majority of the Bullet Train Project area. The MoEF&CC officials are found to be completely missing in all the public consultation processes, even as JICA officials are participating diligently. The complete absence of Indian officials from the MOEF&CC, despite required by the Indian laws is unprecedented and also very disturbing as it appears that it is absolving itself or is being made to absolve itself of its inherent mandatory duties, especially the ones required for such projects of massive and grim environmental and social impacts. With the advent of the NDA government in 2014, the crisis in environment policies in India has reached unparalleled proportions and worsened by leaps and bounds. There has since been a spate of changes in environmental laws in order to allow for urbanization, industrialization, and unfettered development to the detriment of the environment and, often, the local and regional public.